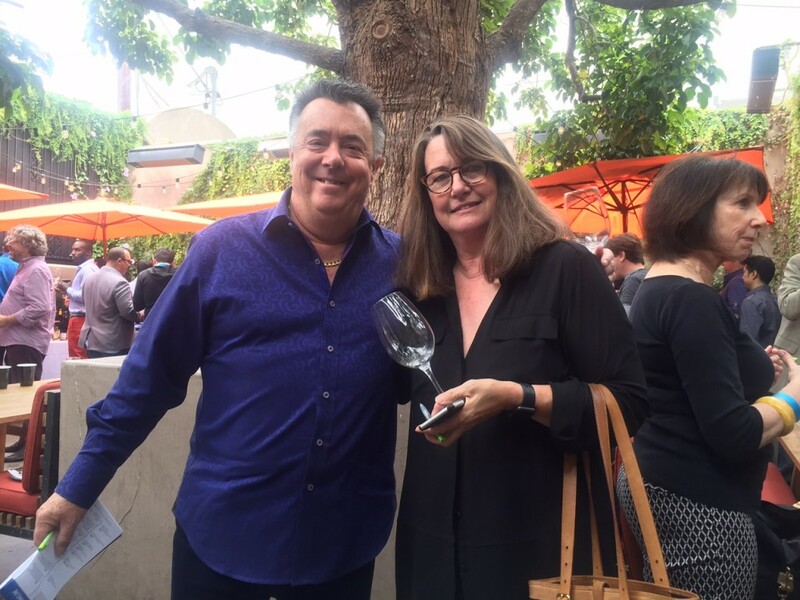 CHICAGO (PRWEB) – From the lush, exotic Pacifica Evan’s Collection Riesling ($17.99) to party-pleasing Domaine La Loyane Cotes du Rhone ($16), the mouthwatering medalists from this year’s competition make perfect pairings for life’s everyday celebrations. This year’s 19th annual challenge touts 25 wines scoring over 90 points, and 220 wines costing less than $12, making Tastings.com the value seeker’s resource to discover new cost-effective favorites. 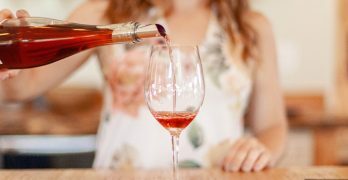 The best values on the market are conveniently showcased on Tastings.com, making this year’s results the go-to wine buying guide to get the most out of your budget. The fresh simplicity of seared scallops is a fantastic first course to serve alongside the pure and elegant Zonte’s Footstep 2018 Shades of Gris Australian Pinot Grigio ($18.00). For cheese pairing, why not choose bubbles? Pop a luxurious 92-point French crémant, Louis Revoir NV Cuvee Prestige Brut ($19) and serve with triple-cream washed-rind cheese. Impress your guests with this super-sophisticated sparkler alongside a perfect bite of Camembert; you’ll be the only one that knows it cost less than twenty dollars. Seek out the gold-medal-winning Three Ghost Vine 2016 Pinot Noir. At $7.46 a bottle, this is one of the best values on the market to pair with anything from Chinese take-out to tea-smoked duck. With so many bottles to choose from, in-the-know tipplers love how easy Tastings.com makes it to find their favorite award-winning wines. 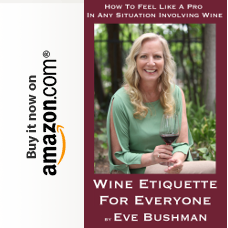 Each recommended wine is listed with a tasting note, suggested pairings, and style guide to help discover the best bottle for every taste. Their ‘Buy It’ button on each high-scoring wine’s page effortlessly pulls up a list of all the shops that carry the bottle. For a complete list of this year’s winners and the only value wine buying guide consumers need, visit Tastings.com. 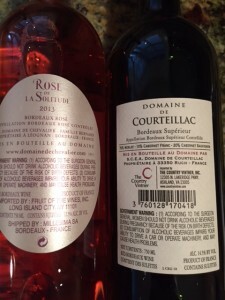 About Tastings.com: Tastings, powered by the Beverage Testing Institute, was founded in 1981 with the goal of producing fair, impartial wine reviews for consumers. 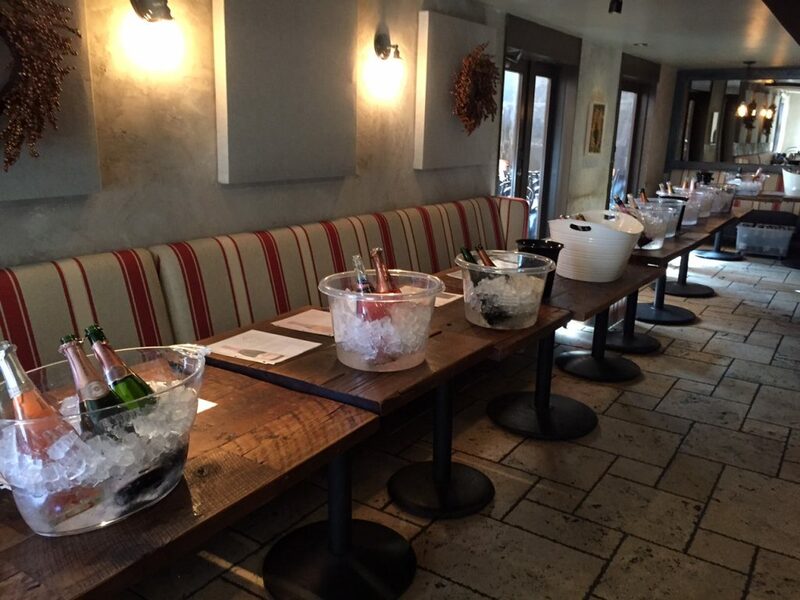 This past Tuesday night, March 8, an intimate party of about 45 Santa Claritans attended the first French wine paring dinner held this year inside Valencia Wine Company. Hosted by Guy Lelarge and his staff, the dinner was privately catered by former Oaks Grille Chef Samson Francois with assistance from Kelly Klemovich. Attendees encountered a gastronomic delight that included no less than 4 courses of the finest French food paired with 4 full 5 ounce glasses of French wines. (We might have had more, who was counting? No one!) Find our menu – and the wine it was paired with – at the bottom of this post. Valencia Wine Company was resplendent with its normal glass-topped tables transformed with linens and fine cutlery; while what was used in prior incarnations as barstools became opulent dining chairs. Each course, beginning with the appetizers that were served during the “cocktail hour” was timed with the next. Nothing, it would appear, was left to chance. Guy, as is his way with every dinner he arranges, introduced the chef first as guests happily bit into delicate cheese and crab filled “Profiteroles” paired perfectly with a bubbling Cremant. At that, we were off to our second course: white asparagus, ham, and one very fresh and very large, scallop. Guy paired that with a Chenin Blanc that I noticed several guests marking to order when the meal was over. After that came the main meal: the filet, sausage and croquette. I sliced them all small enough to get a little of each on my fork, and the balsamic reduction as well. Guy paired this with a blend, 60% syrah and 40% Grenache, from the south of France. I had more than my share of the wine – it was a very good pairing. Finally, the chocolate truffle cake, dates and cheese were brought to each diner along with another new glass of wine: a Rhone blend that most drank up…over and over again..
Stretching my legs, and wanting to get a few quotes, I circled the room. 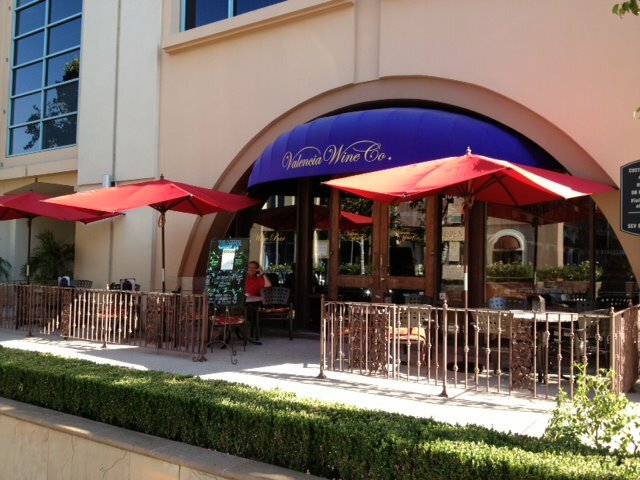 Valencia Wine Company is located at 24300 Town Center Drive, Valencia, CA, 661-254-9300 http://www.valenciawine.com/events.asp. Accompanying the two wines recently sent to me for review was this message, “As you may know, Planet Bordeaux wines include 7 AOC’s – Bordeaux Blanc, Bordeaux Supérieur, Bordeaux Supérieur Blanc, Bordeaux Rosé, Bordeaux Clairet, Bordeaux Rouge and Crémant (sparkling) – and represent 52% of the Bordeaux wine region (270 million bottles in 2013). Overall, 13 bottles of Planet Bordeaux are consumed every second worldwide!” That last sentence stuck. Pretty amazing? It’s important for wine 101ers to understand that Bordeaux, first, is a place in France. Wine made from that region is called Bordeaux. The predominant grapes are Cabernet Sauvignon (left bank of Bordeaux) and Merlot (right bank of Bordeaux). I love explaining to people that if they like Cab or Merlot to try Bordeaux, and vice versa. The other grapes grown in Bordeaux, or considered a Bordeaux variety grown stateside or in other new world regions are: Cabernet Franc, Petit Verdot, Carmenere and Malbec. White wines from Bordeaux are mostly Sauvignon Blanc or Semillon. Beautiful blood orange color followed by aromas of lime, white peach, lemon, strawberry, and a hint of orange blossom; crisp green apples, a little cantaloupe, and with enough acidity to carry through into a very long finish. I felt the wine a little too tart for me, I let it sit in my glass for a bit to revisit, and closed up the remainder to try again in a day. An hour later, and the next day, I detected no changes. Aromas of plums, juicy figs, black cherry, cloves, black olive, walnut and dark chocolate; black fruit, medium toasted oak, dust, dark tannins, earth, mint, with a medium length on the finish. Enjoy the full body of this wine with roasted meats, Bolognese sauce, hard cheeses and dark chocolate. 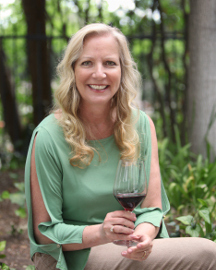 The aim of Planet Bordeaux is to share the wines and art de vivre of Bordeaux, but also to connect and keep in stride with today’s American lifestyle, and budget. 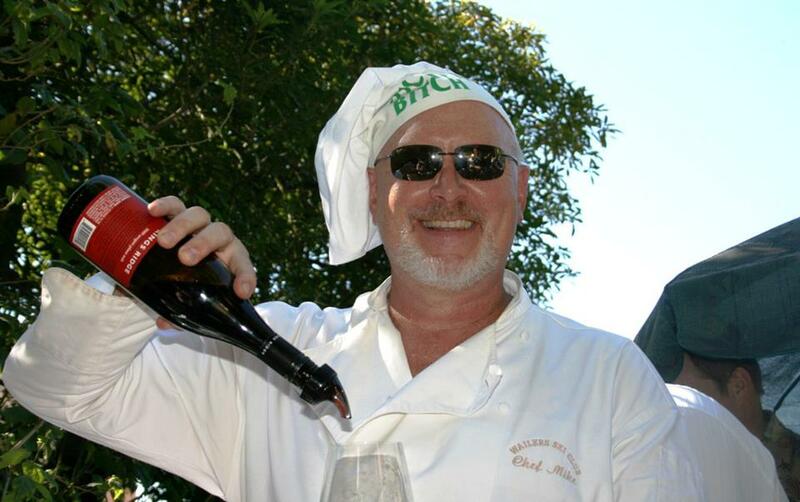 On this page and the new English-language website, www.planet-bordeaux.com, you’ll find information on where to enjoy, learn, and buy Bordeaux and Bordeaux Supérieur wines, and suggestions on how to add a dash of Bordeaux to your life, including food and wine pairing ideas and recipes. Bordeaux Wines 101 on the website is a primer on Bordeaux varietals, blends and appellations, how to read a label, how to choose a wine, how to pair wine with food, and how to serve Bordeaux wines. 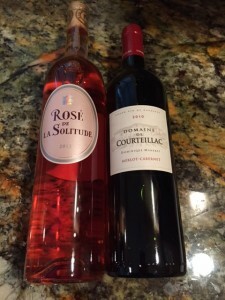 The site also contains links to the blog written by Jana Kravitz, a native New Yorker, entitled Jana’s Bordeaux – Wine Country Living Moments. We look forward to your comments, questions and suggestions – on the vineyards & châteaux, food & wine pairing ideas, as well as your stories of good people, good food & good wine from Planet Bordeaux. 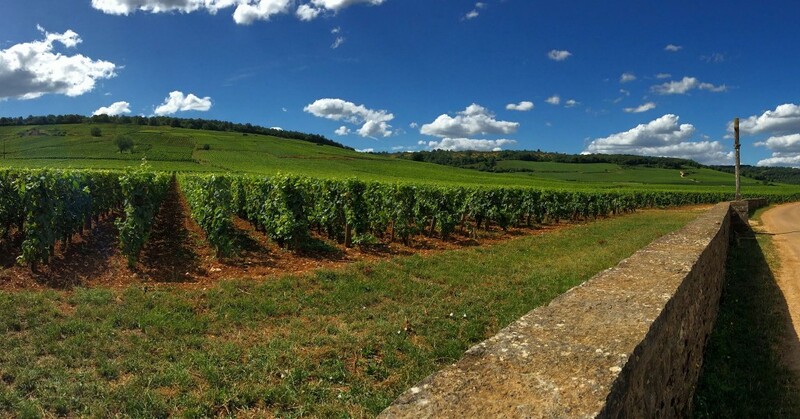 We invite you to become a fan, check out the website, and follow us at @PlanetBordeaux on Twitter. And please invite others to join! Planet Bordeaux winemakers and other wine, food & tourism professionals are encouraged to link their fan pages with ours, share their news, châteaux visiting hours & events, and where the wines can be enjoyed. Every 13 seconds, a bottle from these two appellations of a world-renowned wine region is consumed. And the answer is…What are Bordeaux & Bordeaux Supérieur! Known collectively as “Planet Bordeaux,” a shorter, more convivial name that represents both the winemakers’ association and all wines produced in Bordeaux’s regional appellations, we’re working to give people fresh new ways of exploring these high-quality, value-for-money — and very often, overlooked wines. Get to know them, the people who make them and their stories, and experience the insider’s view of Bordeaux Wine Country Living.